What an inspiring book this one is. Crammed full of gorgeous goodies you can make yourself. I love the idea of making your own greeting cards, boxes, wrapping paper, or decorations. The personal touch always means so much. Author Emma Angel tells you how to even make your own paper. This book is also beautifully illustrated with detailed step-by-step pictures that even I could follow. There are fabulous ideas to get you going on a number of projects, without breaking the bank. Although some are time-consuming, the end result is worth the effort. This is a very useful book if you have children you have to constantly occupy. They'll love all the cutting and glueing and creating. I can't begin to imagine how much you can expand on the already good ideas, especially if you are a creative person to start with. What fun. This book would make a superb gift for a friend, or for yourself, to get going on a new hobby. 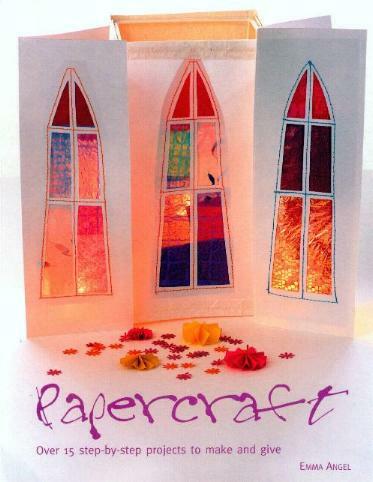 PAPERCRAFT may be purchased and/or ordered through your local bookstore. Conclusion - Very inspiring, especially for the coming winter months.